May | 2012 | ohdenny. PappaRich fever has hit Australia. It seems like it’s the sister franchise to PappaRoti (Update: I’ve been informed they are completely separate entities). With its first franchise opening up in QV where Old Town Kopitiam Mamak was, earlier this year. They have quickly opened up two more stores, one in Doncaster and the latest one in Chadstone Shopping Centre (Outside but close to Aldi) with probably more to come. If you haven’t guessed already, they serve Malaysian food and quite a good variety of food at that. 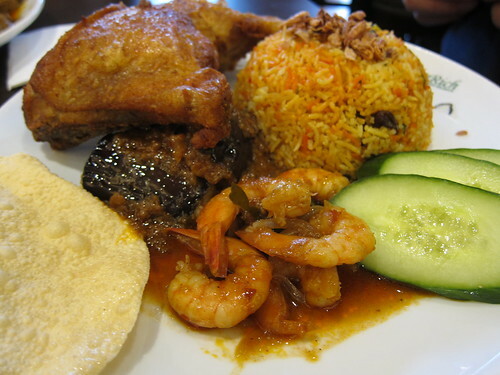 We ordered Nasi Briyani with Eggplant, Curry Prawns and Fried Chicken and Pappadam. I don’t think very many places serve Nasi Briyani, so it was a pleasant surprise to see it on the menu. The Briyani was fantastic, it had a very strong but not overpowering flavour, nicely cooked with all the spices. I’m not a big fan of sultanas in Briyani though, but it is a staple for most. The Curry Prawns aren’t overly spicy, it’s mostly sweet actually and these prawns are the bite sized kind. I prefer the King Prawns but these little prawns suffice. The eggplant adds a nice spicy flavour to it to. 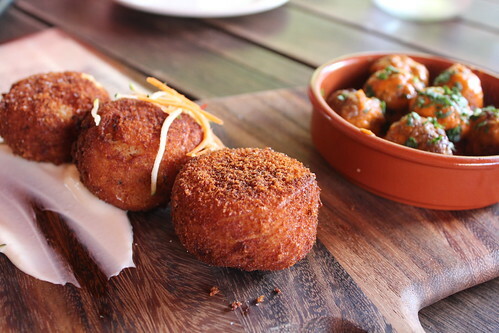 Overall, it’s definitely a good meal, with a wide variety of flavours that all work well together. A must for Briyani lovers. Their Curry Laksa is very different to the popular Laksa’s around. 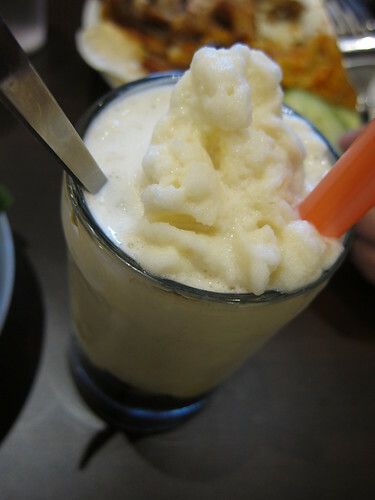 It tastes very home-made and it also lacks that huge punch of coconut milk/cream. 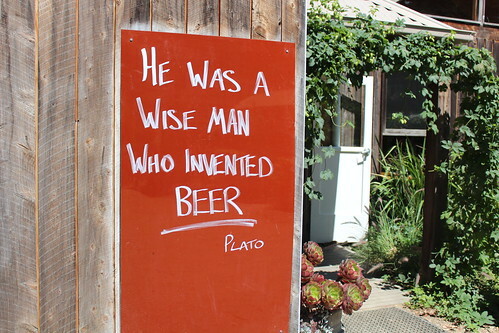 Which is a good thing in my book! Sometimes I prefer a milder, less rich Laksa and this hits the sweet spot. 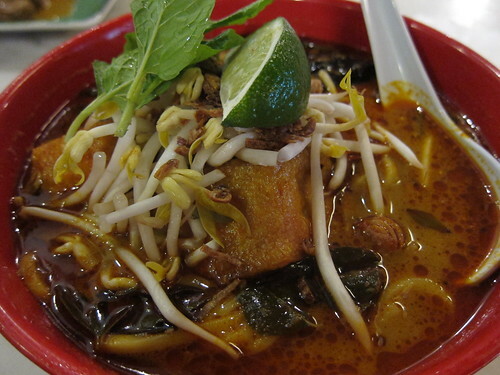 There are a couple of Laksa varieties of the menu, Chicken, Vegetarian, and Seafood. I chose the Chicken version and it is served with chicken (of course), fried bean curd, bean curd, eggplant and a hint of mint. It also only has Hokkien Mee (no Bee Hoon as some Laksa’s have) so it really depends on your preferences. 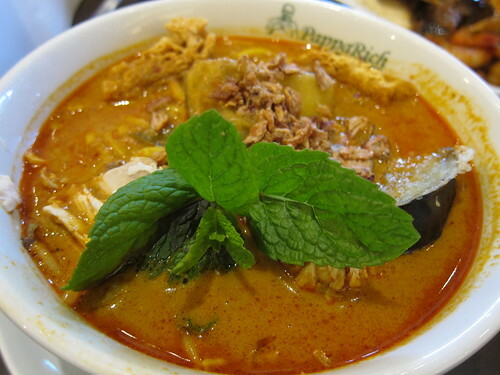 There is a lot to like with PappaRich’s Laksa as mentioned above, the curry soup is delicious as it retains a nice curry flavour but also adds a kick of spice. Overall, I’m pretty happy with this dish it is a definite change of pace. 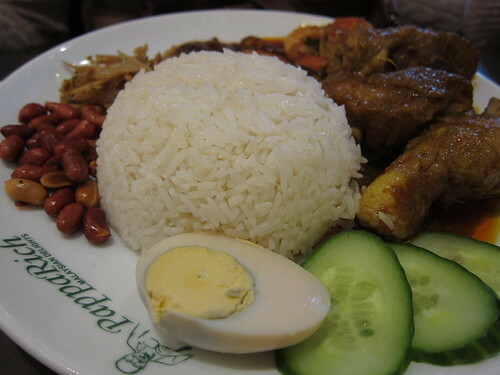 You can’t go to a Malaysian restaurant and not see Nasi Lemak, here we ordered the Nasi Lemak with Curry Chicken and Sambal. I’ve got to say that Sambal is superb. It’s sweet, and my golly does it have a huge hit of heat. I’m in love, best Sambal I’ve had in a while. The Curry Chicken is slightly sweet, but it’s nice. 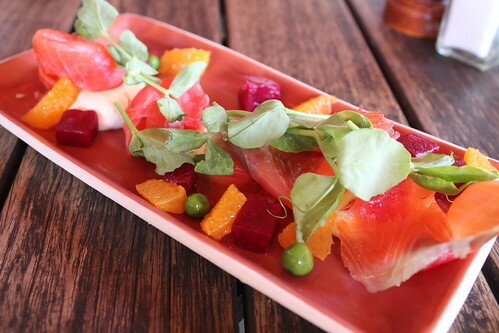 I’d order this dish just for the Sambal to be honest. Their Drinks menu is quite large too, here we ordered the Soya Bean with Grass Jelly. I liked this because it has a strong soya flavour but also it isn’t too sweet so for those that would like a nice refreshing drink but not overly sweet. Here it is! 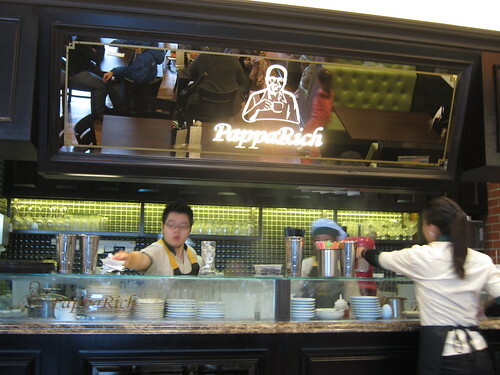 PappaRich’s Teh Tarik is pretty good too, has a nice tea flavour but not overwhelming. 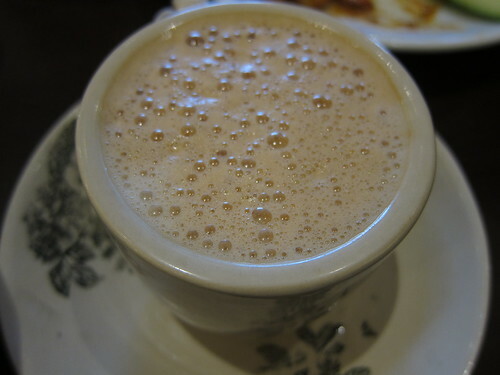 Same with the sweetness, although I still prefer Chilli Padi Mamak‘s Teh Tarik. 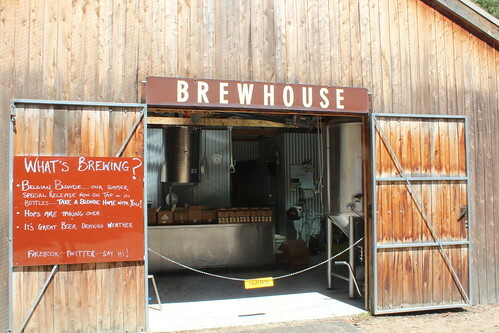 It’s also a tad smaller then what you’d get elsewhere, so there is a bit of a trade off. PappaRich has definitely made an impression on me. It’s menu is full of things to try, from their Roti’s and snacks, to Noodles and Rice dishes and a great selection of desserts and drinks. Although their ABC Ice Kacang is definitely the most expensively priced item I’ve seen, priced at roughly $7 I didn’t even try it. I’m a bit wary of the portion size but also if it leads to disappointment as I think it would. 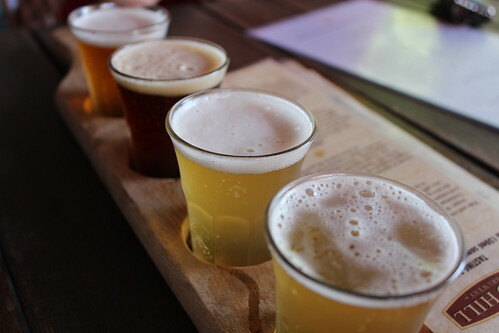 I do have to warn you for first timers that you order by writing down your selection on the pads found on the side and once you’re down you wave down one of the staff to take your paper. They then give you your receipt which you pay at the end of your meal at the receipt counter. I don’t think some of the staff do tell you that so best be warned before sitting there for minutes waiting for service. Other than that, the service was surprisingly good. We had to wait roughly 10 minutes to get seats as PappaRich still is affected by the “new/curious” diners (like me) but once we ordered, food came within another 5/10 minutes. Pretty good actually for a full house. Overall, I would dine again just to try their other items and it means there is actually some good Malaysian food in Chadstone, apart from Chadstone Shopping Centre’s Chilli Mama (Located in the Food Court) and Nudle (Near Nandos/Cinemas). It actually makes me want to go to Chadstone more often! 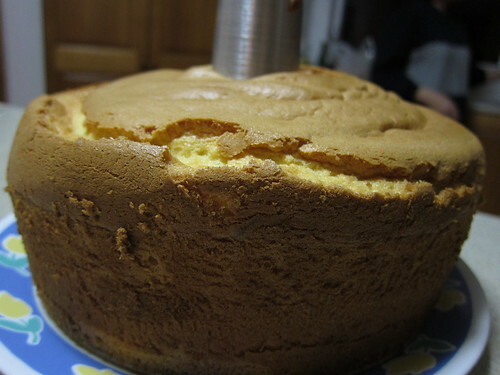 After baking my first Pandan Chiffon Cake, we decided to try baking the Orange Chiffon Cake. Usually Pandan and Orange and they two popular versions in Melbourne. I’m really not sure of many other versions, I’ve seen someone do a Black Sesame one but haven’t had a chance to try that yet. 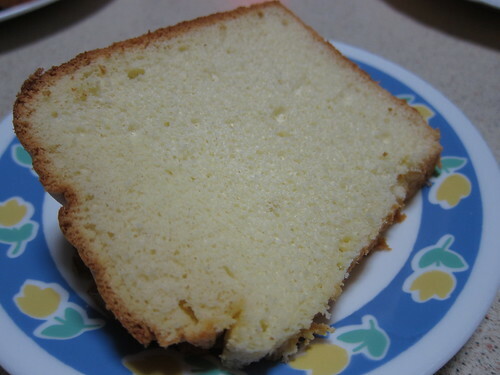 The difference between the Pandan and Orange Chiffon Cake recipes is the Orange version tastes much lighter because of the use of coconut milk in the Pandan recipe which makes it slightly more dense. Without further adieu here is my mother’s recipe which works a treat! 3. Add the vegetable oil, orange juice, orange extract, egg yolks and sugar into the dry ingredients and mix until just combined. Here’s how it looks inside! I find that you’ll always have a slight depression and density at the bottom because of the meringue cooling. 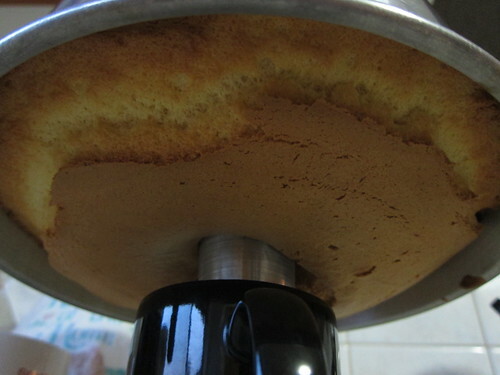 You’ll be hard pressed to find a Chiffon cake that doesn’t sink a bit so don’t worry if yours does. It’s fine! 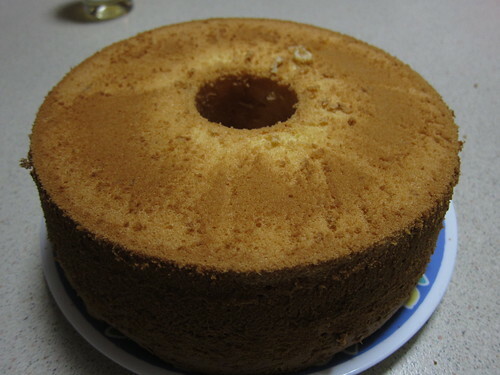 I find the Orange Chiffon Cake to be extremely light, but full of orange flavour. The orange juice really adds the much needed freshness and flavour. It really will depend on the oranges and how ripe they are but a little bit of orange extract is good just in case the orange juice doesn’t do its job. Using a stand mixer really makes a difference to a hand mixer. 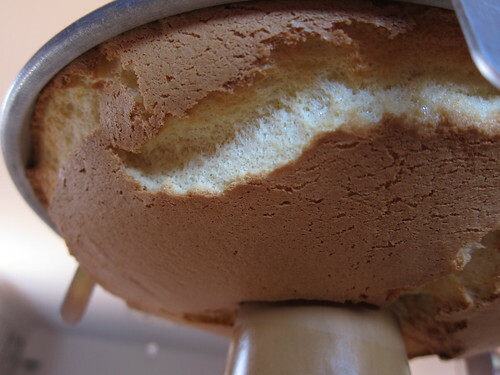 I find the hand mixer either overbeats the meringue, or doesn’t evenly beat the egg whites. Maybe it’s just my poor hand mixing but with a stand mixer and especially a planetary mixer, you get hard peaks extremely quickly and without much fuss. 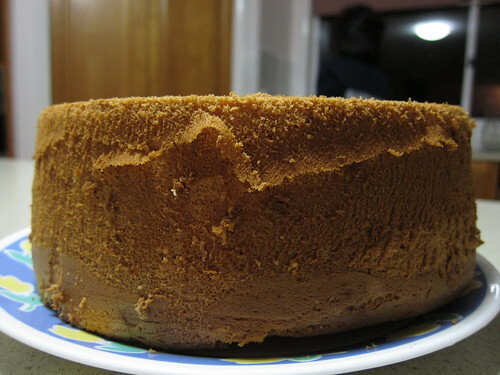 The key in making a good Chiffon Cake is obtain hard peaks and carefully mix it in with the batter but just enough. 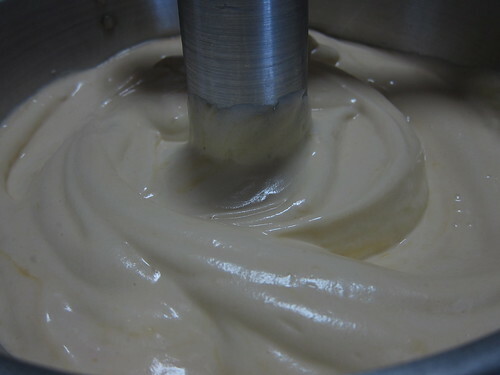 Once you’ve tried it a couple of times, you’ll know how hard/gentle to mix and after that it really does become easy to make. 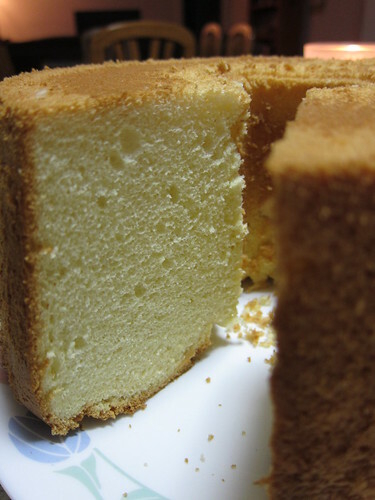 If you love light, fluffy cakes and you don’t want a buttery aftertaste, Chiffon Cakes are excellent for your cake fix.